Wood burning fires are available in several different formats. Built-in wood burners are placed in situ and a false chimney built around them. 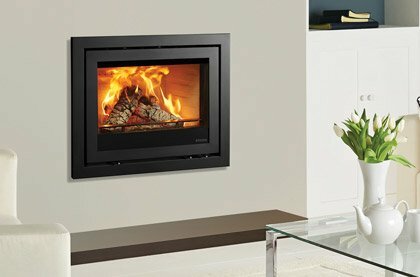 Cassette wood burners are recessed into a chimney breast to give a hole in the wall effect, while inset wood burners are usually hearth mounted and inset into a fireplace. 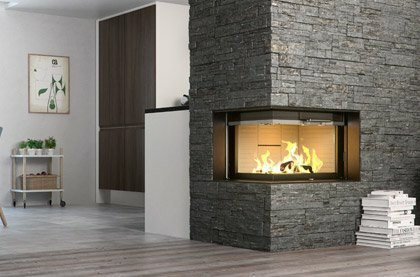 We have a wide choice of wood burning fires at Fireplace Products. Turn that hole in the wall into the focal point of your room - cassette stoves are both discreet and discrete, that is to say they are simultaneously unobtrusive and individually distinct, self-contained stove units. We define an cassette stove as a stove that is fitted into a chimney either hearth mounted or raised off the floor. Perfectly designed to be placed straight into a chimney, either on a hearth or raised off the floor. A true space saver, taking up 100% less floor space than a free standing stove. The great advantage of cassette stoves are that they are primarily contained within the wall, revealing only the glass front and frame that offers a window onto the fire, often resembling a flat screen TV. This means no unsightly flues or wall openings, just pure glass and a roaring fire, turning that hole in the wall into a striking focal point, providing heat and stunning visuals for years to come. We have a selection of traditional and contemporary cassette stoves available, with a choice of frameless, steel, glass or stone to suit your room's décor and taste. 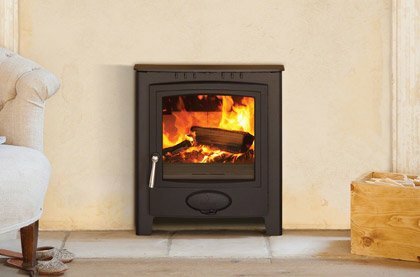 Keep an eye out for DEFRA approval when browsing the catalogue of cassette stoves, this means that a stove is permitted to burn wood inside smoke control zones owing to its low emission profile, if you live in a Smoke Control Zone then this is essential. 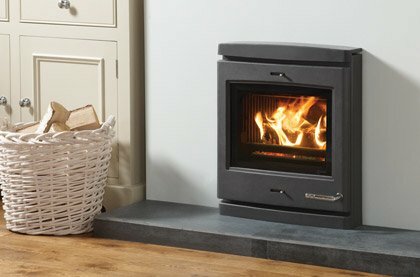 There is sometimes confusion about the difference between cassette and inset stoves. At Fireplace Products we define a cassette stove as a stove that is typically fitted in the wall with a frame but can be fitted on a hearth with a three sided frame like an inset stove, in short: some cassette stoves can be inset stoves, but inset stoves aren't cassette stoves. Find your perfect stove with our comprehensive Stove Finder search tool on the left side of this page! Simply input your requirements and our advanced search system will find the ideal model for you.